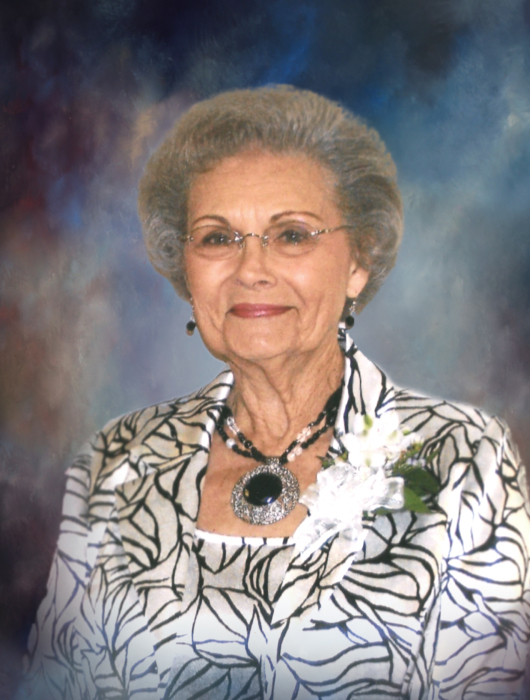 Ms. Peggy K. Kennedy, age 86, passed away Sunday, April 14, 2019 at her residence. She was born January 26, 1933 in Avon Park, Florida to Fred and Eunice Kennedy. As a child, the family moved to Reidsville and she made this her home for over 80 years. Growing up here, she loved the area and wanted to stay here as an adult, thus beginning a career at Canoochee EMC. Even during her working years, she loved the Lord and dedicated herself to her home church, Reidsville United Methodist Church. After retiring from Canoochee EMC she was able to devote even more time to the ministry. She served many roles throughout the years including; a member of the Care Team, the Lillian Eason Sunday school class, and over 20 years of service as the Worship Chairperson. Outside of the church walls, her personal ministry was through her baking. Ms. Peggy was known the county over for her cakes, but most especially her signature caramel cake. She literally showed those around her just how sweet it is to trust in Jesus! Born with a servant’s heart and strong devotion to community, country, and Christ; she will be sorely missed. She is preceded in death by her parents; husband, James M. “Jimmy” Kennedy and a step daughter, Rebecca Still. She is survived by her children, Beverly (Ricky) Hodges of Reidsville and Milton (Jeanna) Kennedy of Claxton; sisters, Wilda Kennedy, LaNell K. Crapps, and Frances K. Moody all of Hinesville; grandchildren, Gavin Hodges of Reidsville, Nathan (Lindsay) Hodges of Reidsville, Jami (Barrett) Baxter of South Carolina, Jessica (Ellis) Durrence of Bellville, Aaron Still, and Courtney (Jody) Still all of South Carolina; great grandchildren, Kennedy, Caroline, and Nash Hodges, Emmaline and Amelia Baxter, Ella and Milli Durrence, Aubree, Kade, Clayton and Colton Still; special friend and caregiver, Freddie Mae Gay; several nieces and nephews. The family will receive friends beginning at 6:00pm on Tuesday at the funeral home. Funeral services will be conducted 11:00am Wednesday, April 17, 2019 at the Reidsville United Methodist Church with the Reverend Marc Foster and Mr. Jackie Trim officiating. Interment will follow in the Reidsville City Cemetery. Pallbearers will be Dr. Don Kennedy, Joey Kennedy, Roger Kennedy, Gavin Hodges, Nathan Hodges, and Aaron Still. Memorials may be given to the Reidsville United Methodist Church, Post Office Box 218, Reidsville, GA 30453. Low Country Cremation and Burial is serving the Kennedy family.